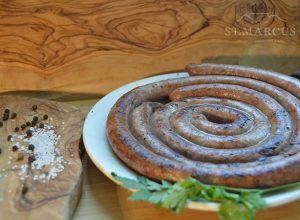 These Lamb Mint Sausages are made from a blend of coarse lamb & beef and aromatic herbs & spices. What’s more, they’re infused with robust flavours. 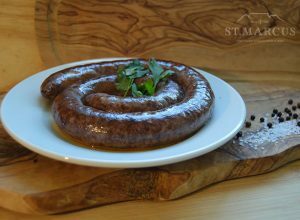 After expanding on our farm-style South African Boerewors, we turned our sites on conquering the continent. 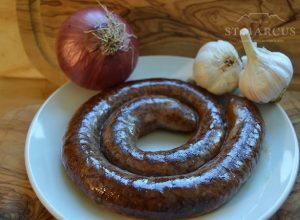 Born out of that, was a range of speciality sausages inspired by European favourites and African flavours. Our new product line happened to include our pack of 4 Indian-inspired Lamb Tikka Sausages. 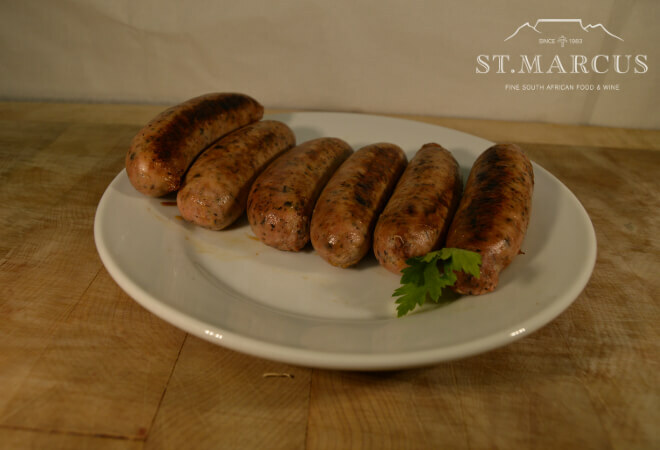 Our sausages, made from 70% Lamb, 15% Beef and 15% Spices, is wonderful when served on a bed of mashed potato and roasted vegetables. However, our favourite way of using these are in a fresh couscous salad with pine nuts, feta and garlic. 4 Lamb Mint Sausages approx 220g.